A shiny new speeder. So they’ll think of you as they zip along the planetary byways. A pretty new moddable gear set. If you can’t make these items yourself, head to your local GTN station, search for your beloved’s armor proficiency, with the search parameters of 1 to whatever level your sweetheart is currently at, then sort by the left column, rarity. This will pop up all the empty moddable gear for your browsing enjoyment. Be sure to preview what the clothes will look like by choosing Control+click. Courting Gifts. Sure, they won’t be able to use them if they aren’t actively pursuing the affections of a companion, but it’s a charming gesture nonetheless. Take them on a trek to one of your favorite scenic in game spots and whisper sweet nothings in their ear. Give them an IOU for doing their dailies for a week. Make a pledge to do an hour of PvP with them each week until they get the one item they really need (*cough* purple lightsaber*cough*) from the PvP goodie bag. Would you like a side of purple lightning with that? You can get a purple lightsaber from the turning in the sith warrior columi offhand token for the offhand lightsaber, and removing the crystal. How Was the Grand Acquisition Race? You Have Failed me for the Last Time, Qyzen Fess! 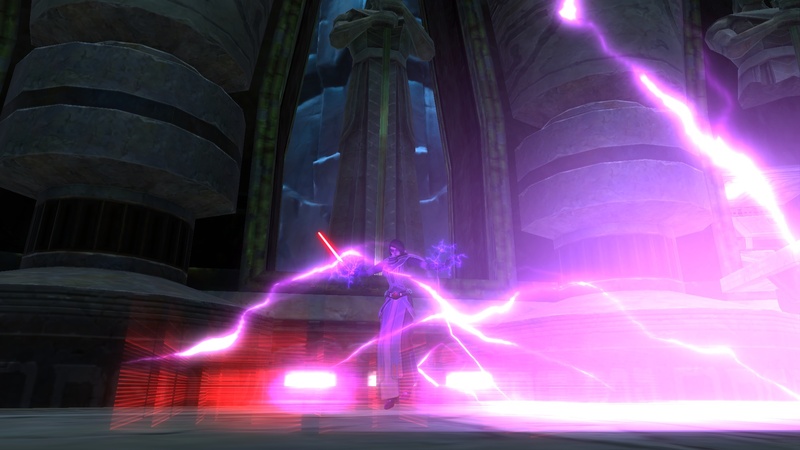 At Long Last: I Have my Purple Lightsaber!!!!! !